Take your classic banana bread recipe to the next level! 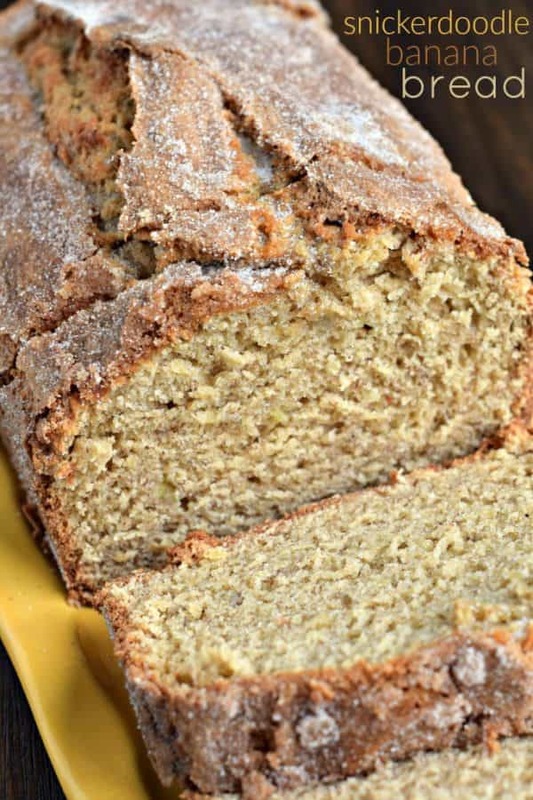 This Snickerdoodle Banana Bread has a crunchy top coating of cinnamon and sugar, a real crowd pleaser! Preheat oven to 350�F. Grease two 9-inch loaf pans. In a small bowl, combine sugar and cinnamon for the topping. Sprinkle generously over greased loaf pans (saving the remaining mixture for the tops of the bread). Set aside. Visit Snickerdoodle Banana Bread @ shugarysweets.com for full directions.